The book I’m most excited to read this spring is Exit West, by Mohsin Hamid, following the sometimes magical journey of the refugees Nadia and Saeed as their city collapses and they flee. “The fourth novel from the Pakistani-born author is at once a love story, a fable, and a chilling reflection on what it means to be displaced, unable to return home and unwelcome anywhere else,” writes NPR. From The Washington Post: If HBO’s “Girls” is a time capsule of Lena Dunham’s millennials, “All Grown Up” is an x-ray of Gen X. Like those “Girls,” Andrea and her friends are young women for whom the whole world has opened. They’ve grown up believing they’re the captains of their careers, their sexuality, their lives. Yet they find themselves floundering, dulled by alcohol and irony, drowning in a sea of seemingly limitless choices, lurching toward decision-making in overthought fits and starts. What, “All Grown Up” asks, hath feminism wrought? Swing Time, by Zadie Smith, tells the story of two girls who have the fraught relationship you sometimes find between sisters or very close friends. They’re growing up on the wrong side of the tracks in 1970s London, brown girls both, where they meet in a dance class sponsored by the local community center. Check out Laura Cooper’s deep dive review at Bacon, “Swing Time and Our Myths of Women’s Friendship”. Peter Swanson’s new psychological thriller, Her Every Fear, pulled me in hard and hasn’t lightened its grip. A young Brit temporarily swapping apartments with her cousin in Boston finds herself in the middle of a murder investigation – and fears for her life. Swanson is slyly humorous on the cultural contrasts. Scary and terrible things happen in the night. Fevers spike, children die, the ghosts come out. 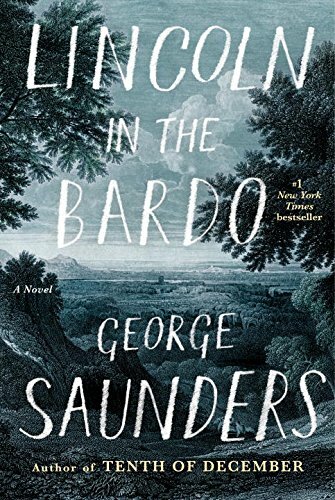 In George Saunders’ eagerly anticipated new novel, Lincoln in the Bardo, Lincoln visits the crypt where his 11-year-old son Willie has recently been buried. On the New York Times bestseller list now. Transit, by Rachel Cusk (second in a planned trilogy), follows the narrator to London, where she has moved with her two sons following her divorce. Really, nothing happens. It’s mostly a series of conversations. But Cusk’s mesmerizing voice keeps you reading. You’re inside her head – and out of your own. Please check in at Styleblueprint for the full version of today’s post! I LOVE Jami Attenberg -can’t wait to get this in my spring break queue! I can’t wait to read these! A little escape is just what this spring needs. Great post! Great picks for spring break! And I particularly like your pop culture/music subtitles. Very clever for a Thursday morning.